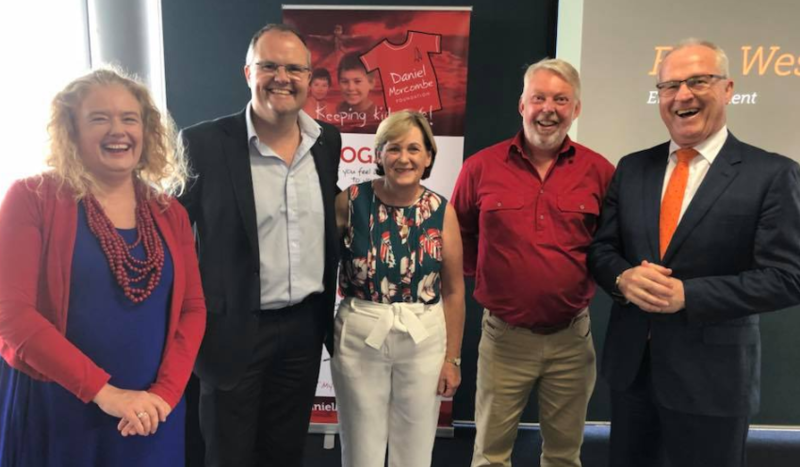 The Daniel Morcombe Foundation paused yesterday to thank the builders, suppliers, tradies & volunteers who have all generously contributed to the construction and fitout of Daniel House in Palmwoods, on our Sunshine Coast. I was proud to join Holly, Ted, Denise and Bruce to recognise supporters and thank them for their example and commitment. From a great tragedy Bruce and Denise, our 2018 Sunshine Coast Citizens of the Year, have become powerful role models for all parents and beacons of hope for many children.